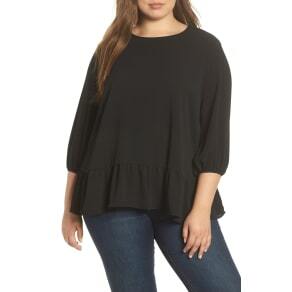 Catapult your closet to a new level of style with some new plus size tops. 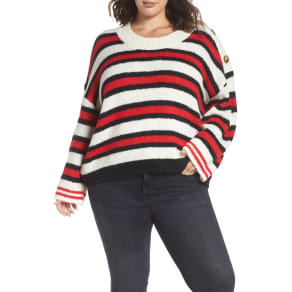 From conservative tops for the office to trendy tops for a night out, the stores at Westfield has plus size tops in every fabric, color, and style. They're sure to satisfy the fashionista is all of us. Strut your stuff on the town in a trendy cold shoulder, raglan or tunic style top. Pair with some skinny jeans or leggings and some over the knee boots and you’re ready to go. Want a more casual look? Try out a tank top with jeans. Going to work? Choose from a variety of plus size button down tops in all styles, fabrics, prints, and colors. 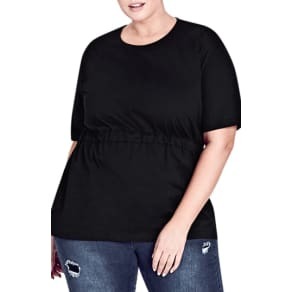 With so many plus size tops to choose from, you’ll want to stock up. 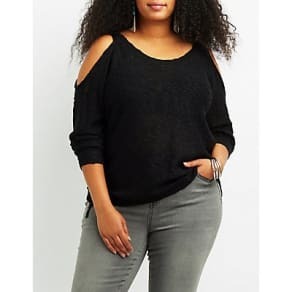 Whether its babydoll, high low, peplum, V-neck, sweaters, cardigans, and day and evening blouses, Westfield has the plus size tops for you.